This past weekend, June 24, marked the 40th anniversary of the expulsion of the Waffle from the NDP. 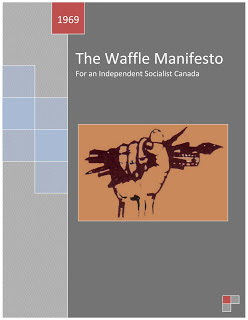 The Waffle, (actually the Movement for an Independent Socialist Canada), for those who do not know it, was a grouping of socialists, nationalists, feminists and activists that was formed in 1969 within the NDP. It was, broadly speaking, led by James Laxer* and Mel Watkins. The Waffle was ahead of its time in many respects. In one instance, spearheaded by Krista Maeots*, the Waffle was the first group to propose the notion of gender equity within the governing structures of the NDP. Even though it was only proposed in a limited form, it was opposed and voted down by the party hierarchy, including the eventual Lewis leadership. The Waffle also fought for the nationalization of much of Canada's resource sector and American-owned industries, sought to fight continental economic integration and sought to work towards a radically socialist Canadian economic and social strategy. Dr. Margaret Mahood was the deputy superintendent of the North Battleford Mental Hospital when she was recruited to work at the new Saskatoon Community Clinic. 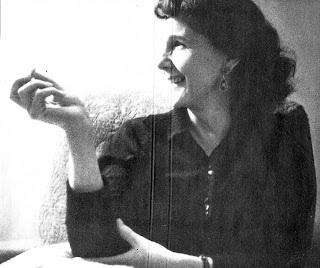 As a socialist and a psychiatrist, Dr. Mahood supported the Medicare plan and relocated to Saskatoon. She put on her general practitioner’s hat and set up her practice at the so-called “commie” clinic. The idealistic psychiatrist joined forces with Dr. Joan Witney-Moore, and on July 3, they opened the doors to the clinic with only their medical bags, and folding tables topped with mattresses employed as examining tables. Socialized medicine in Canada was ahead of its time, and the Medicare program wasn’t granted an easy birth. Neither was the wife of Allan Blakeney, the health minister. He scrambled to get services for his very pregnant wife, Anne. But her Medicare-supporting doctor wasn’t afforded hospital privileges, so their baby was born at home.